Florida marriage licenses can be issued to both Florida residents and non-Florida residents who will be married in the state of Florida. You can get married in any county in Florida regardless of where you obtained your marriage license. They are issued by counties and you can apply for your license at any County Clerk’s Office. Both parties need to be present at the County Clerk’s Office and must sign the application. 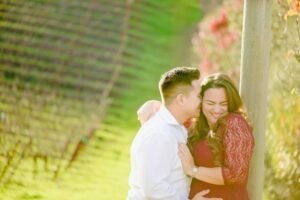 A marriage license can be obtained by mail, however, the process may take 4-5 weeks and the pricing depends on when your initial application is made in relation to your wedding date. The legal age for marriage without parental consent is eighteen (18) years old and the legal age for marriage with parent’s consent is sixteen (16). Both parties must provide their Social Security number. The fee for a marriage license in Florida is $93.50. For Florida residents, there is a three (3) day waiting period. However, this can be waived if they complete a premarital preparation course and can provide a completion certificate. The reduced marriage license fee if the course is completed would then be $61.00. 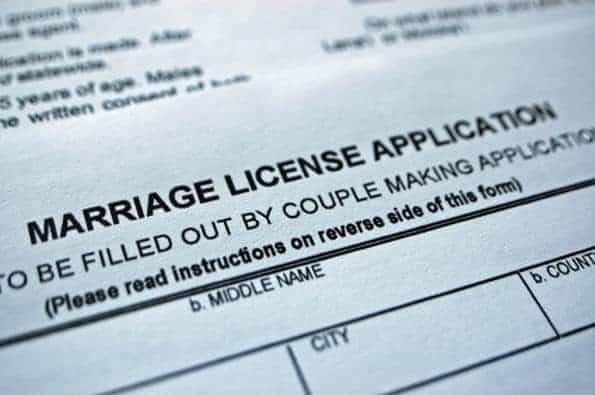 Non-Florida residents do not have a waiting period.Marriage licenses are valid for 60 days after issuance, therefore, you must perform the ceremony of marriage before these 60 days expire. So pack your sun block and jump on a plane, time to do your destination wedding in Florida!